Happy Friday and Happy Weekend! It's glorious, isn't it? 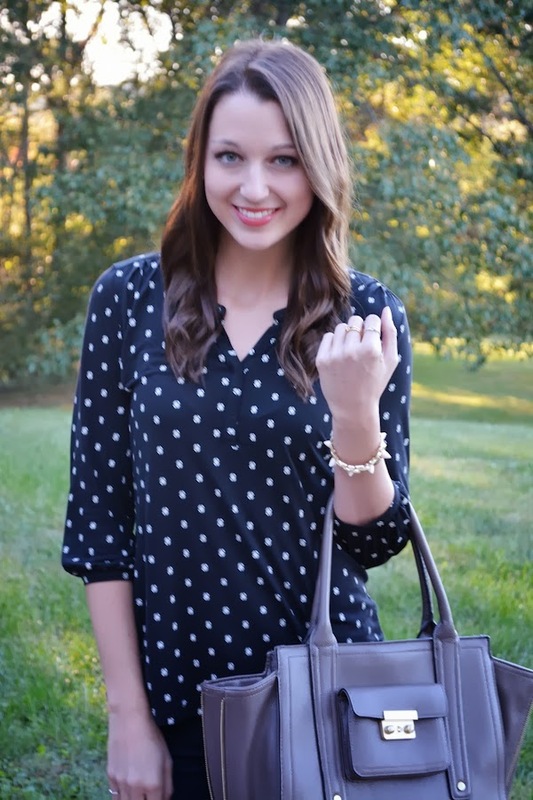 Today's post features some basics that I've been wearing for weekend (and work) casual. Tan booties and dark skinnies jeans are of course major staples in my book, and then a neutral, relaxed top like this one is super easy to throw on and layer over! We are definitely wearing verrry similar boots today and I think I have practically the same top, haha. Cute! You look gorgeous! I am loving this outfit, especially those booties! Very cute! Love the booties! I love this outfit with the bright lip! I love your phillip lim bag. I wanted to get one for myself but I am seeing it as sold out ..
That purse! Ah! Of course it's sold out. You look so beautiful! 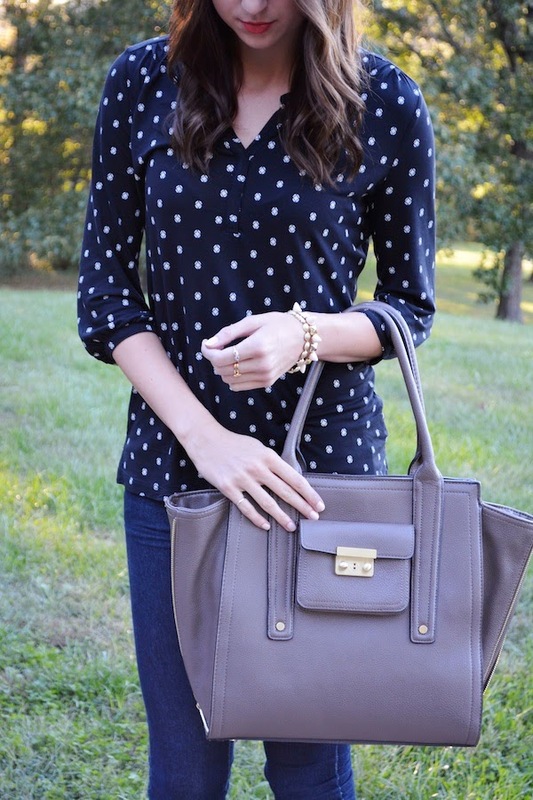 I'm loving the polka dot top and those booties! Haha, great minds think alike, right? ;) Thank you!